3 cold miles today. I believe winter is back! Here's a few items on the list of products that I feel any runner would love over the Holiday season. I've used all the products on this list so this comes from personal experience. Prices range from $15 to $400. 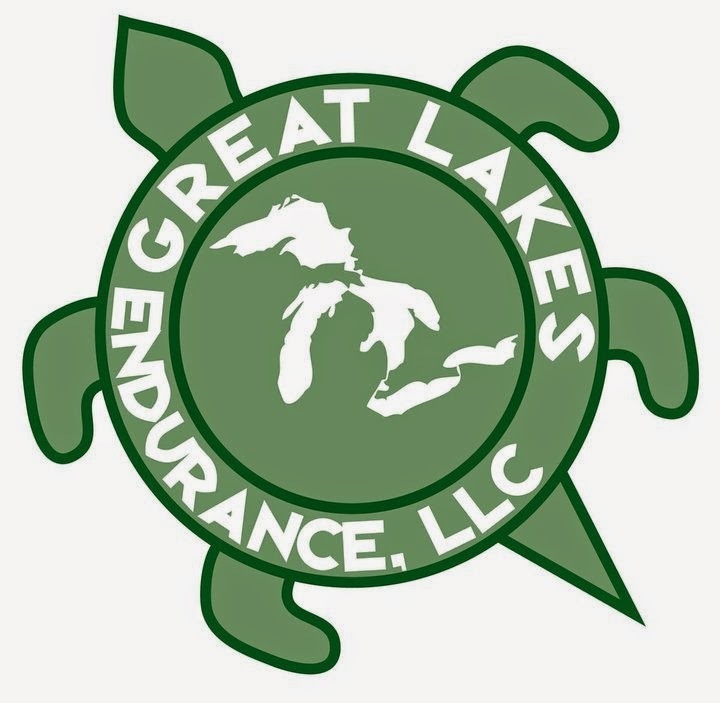 I have one recommendation for this year in the Hydration category and it's a clear choice of what you should get if your runner carries a water bottle. It's the Clean Bottle. This item is great. First, it's 20 oz. so you have plenty of water on even your longer runs. 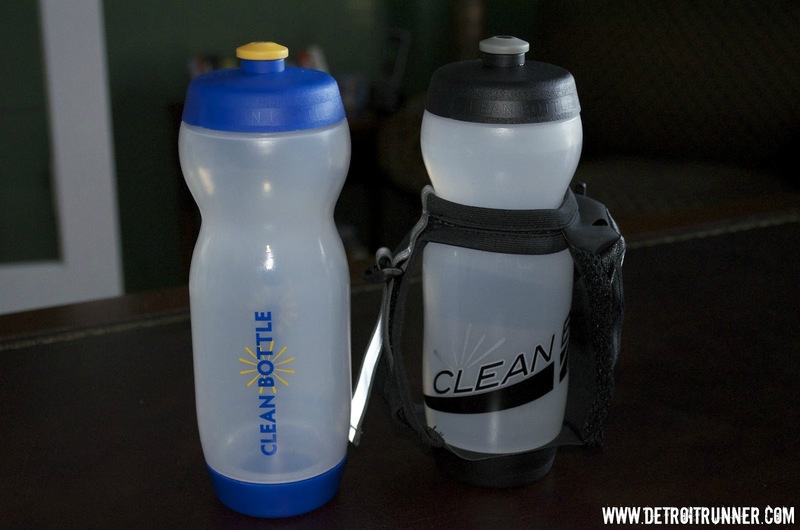 It has a removable top and bottom for easy cleaning, hence, Clean Bottle. The mouth piece is also removable for cleaning. It has a place to store your phone and/or keys and gels too. The best part.....it never leaks. I ran with this all season and it does not leak ever. I have to admit that I really don't wear a running belt that much. If I do use one, it's usually the double pouch belt by iFitness. It holds lots of stuff and does not bounce around when you are running. I also run with a Spibelt, which are very popular. Again, I don't keep much in mine(but it does hold tons of stuff) but I mostly use this in the winter in order to put on my race bib on it rather than pinning it to my jacket. This year I also reviewed a RooSport which is great for the minimalist. It's perfect to hold keys and perhaps a couple bucks for something on the road. You can't even tell it's there which is nice. 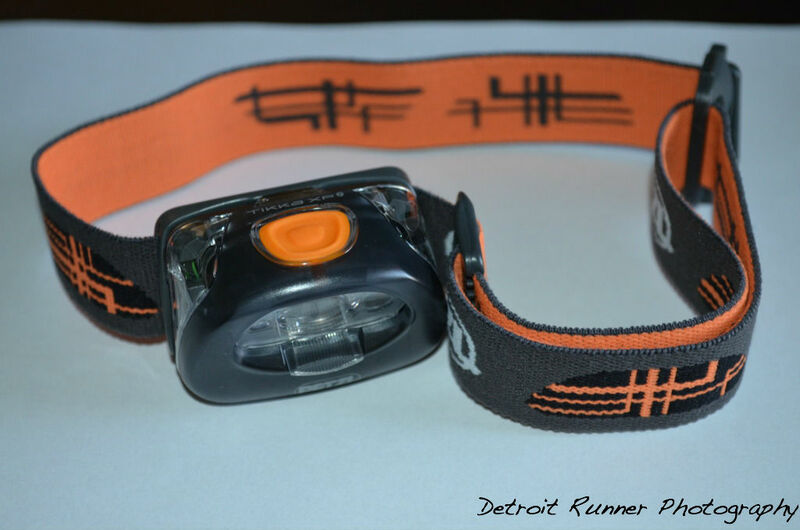 My go to item for illumination is the Petzl Tikka 2 XP headlamp. I've used this exclusively since I did the review on it. It's got an amazing light on it for my dark runs, which is 80% of the time. It's also flexible and has an emergency whistle on it for safety. It's a little higher cost than many headlamps out there and worth every penny. The main item for safety I recommend for your runner this Christmas is 1BandID. It's an ID that goes around your watch/GPS and you forget about it. I never run without a watch so it's perfect for me. 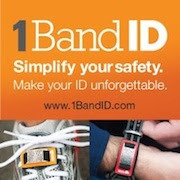 There are many ID bands out there - EVERY runner should run with one no matter what brand you use. Clothing is a tough one because much of it is by personal preference. I typically go to the store for most of my running clothes with the exception of socks(buy Injinji for some excellent socks or Thorlos socks for winter) and jackets(I use North Face or Pearl Izumi). Personally, I like to try on the shirt and/or pants that I'll be running in. My personal preference is tights for winter and of course, shorts for the other seasons. I also tend to run with the race shirts when training so I don't buy many shirts. Mostly the only shirts I do purchase are rated for winter running from UnderArmour(cold gear) and the tights I wear are also from UnderArmour(coldgear). I personally believe that going with name brands makes a difference for running clothes. They are made well and worth the extra cost and will last years. 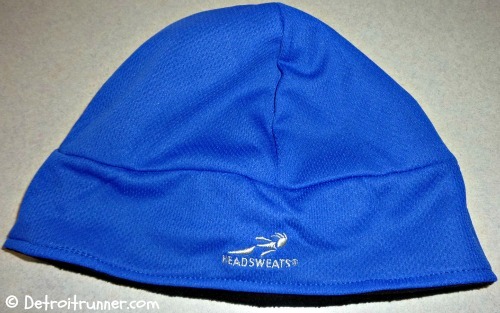 If you are looking for a hat, whether it's for summer or winter, my personal preference is Headsweats. I've got several of them including several that I've reviewed for both summer and winter and I'm currently testing a new one they are coming out with that's not even on their website yet. Check them out. Very reasonable prices, their washable and they last a long time. All the hats I've bought from them still look brand new after several seasons. Of course, if budget is not an issue, then I'd recommend a GPS watch for your runner. I use the Garmin 310xt currently which I love. 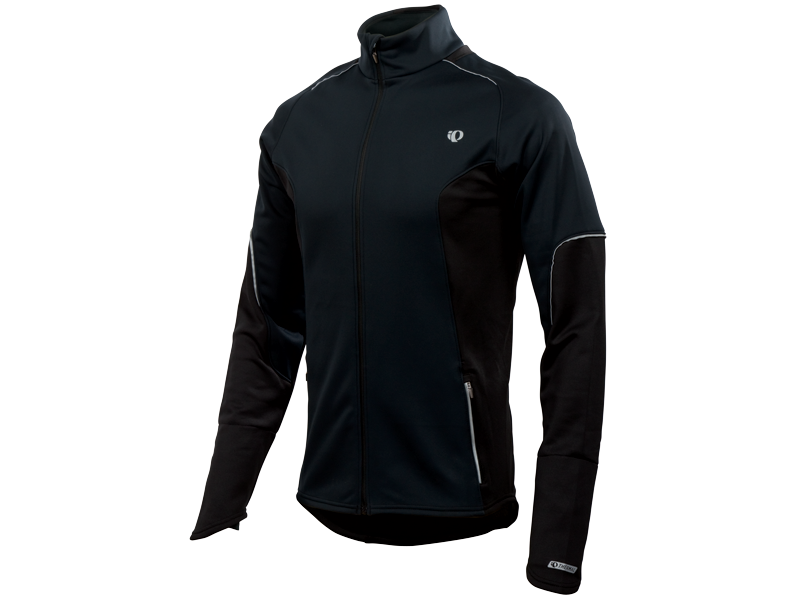 It's made for triathletes so it's waterproof but there are so many options out there. My suggestion is to go to dcrainmaker(dot) com since he has in depth reviews of every GPS watch out there from $99 to $599. If I were to purchase a new GPS watch, I'd probably go for the Garmin 610 running watch which Dcrainmaker also recommends. In regards to music, of course I'd recommend the Apple ipod shuffle. I use it all the time when training. Easy to use, battery lasts a long time and I really abuse mine by using it in all weather and it keeps on working. Rest. That's my recommendation to prevent injury. Ha! All kidding aside, the one item that I'd recommend here is Body Glide. I put it on my feet and between my toes for every run in the last three years. I've had a total of 3-4 blisters in that time period so it works. Of course, you can use it anywhere else you chafe as well. This makes for a great stocking stuffer. The other item I recommend is the TP Therapy Grid. I use this daily to help work out the kinks. It will not break down like other foam rollers. It's takes a little getting used to if you have not used a foam roller before since it's much harder(and can hurt at first) but you will love this. Also, the cost is higher but you won't have to replace it like you do other foam rollers. This is one of those "I can't live without it" running items. There are several companies that make excellent medal holders and I've done reviews on a couple. My #1 recommendation is Allied Medal Displays. They made a couple custom medal holders for me for a review and they are incredible. 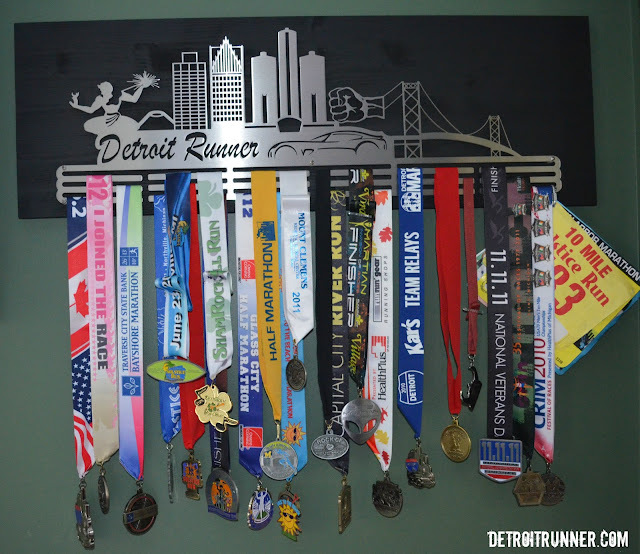 You don't have to go custom either so you can keep the cost down but even a custom hanger is certainly worth the price(and not really that much) and something that your runner will appreciate if they don't have a place to hang all their race medals. As I've said in the past, shoes are a personal preference so I'm not sure I'd recommend buying these for your runner unless you really know what they want and/or already use. My #1 choice is Mizuno Waver Rider 16's. I just did a review on them. Currently, my favorite shoe for training and racing. Of course, for that hard to buy for runner, I would also recommend a gift card to Runningwarehouse(dot)com. They have excellent customer service and free shipping both to you and for returns. They also typically have excellent prices and put things on sale throughout the year. 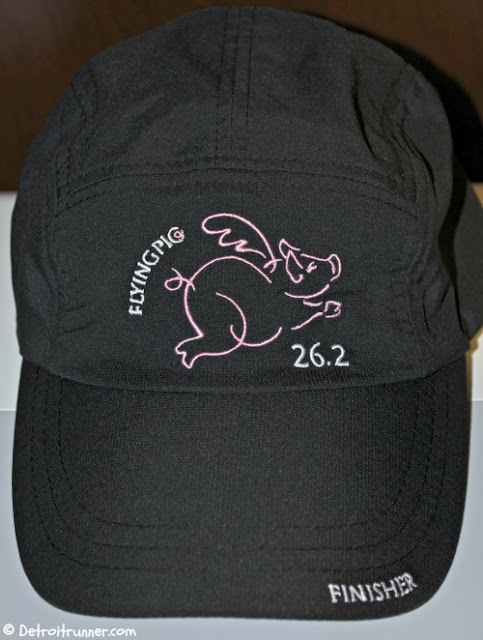 You can't go wrong since they offer almost every brand and item related to running. Another option is to surprise your runner with an entry to a race. I know I'd be surprised to get one. So, there you have it. I'm sure there is something on this list that your runner would love for Christmas. Of maybe you need to show this to your spouse? You can read about all the products I've reviewed HERE for more details on some of these products. What other items do you recommend? That Detroit custom medal display is amazing. How did you even begin to get that made by them? Did you make the design? Do you have a blog post that says how that all came about? If so, let me know. I did a review on it. Check out my gear review for a detailed review on it. 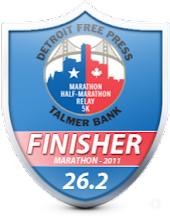 You can get one without Detroit Runner on it at their site too! Yes, I've been eyeing that custom display to take better care of my medals, but I simply don't know what to call myself. I need to wear a headlamp too. Yes, you need a name! Ha! A headlamp is a must for me. I always use it during the week.